From shattered glass and flying helmets to knocking players over the boards and into the bench, experience the skill and aggression of hockey like never before. Crash the crease too hard and you'll knock the net off and send the goalie flying. Playing as your created pro, earn every shift on the ice with stellar play, big hits, and spectacular goals. Simulate the action to your next shift so you're always on the ice as you play out your entire career gunning for the Stanley Cup. Stonewall your opponents with awe-inspiring desperation saves from your goalie as he covers every possible angle and works through screens and flying players in front of the net. 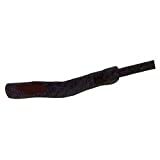 When the action boils over, send a message by leaving the net, dropping the gloves, and trading punches with a heated rival during fights. The NHL package jumps to life with NHL Winter Classic, the league's premier outdoor hockey event on New Year's Day. Play under snowfall at Pittsburgh's Heinz Field as 70,000+ rabid fans provide inspiration while donning Winter Classic gear. As the sport's next superstar, earn every shift on the ice with stellar play, big hits, and spectacular goals and prove you have the toughness and skill to lead your team to the Stanley Cup. Be the next legend in hockey with NHL 12. 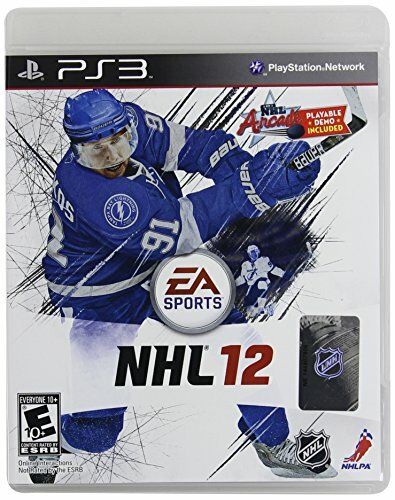 NHL 12 is EA Sports annual hockey video game that puts players on the ice with the ultimate goal to become the next great superstar of the hockey world as you lead your team to a Stanley Cup championship. Features include a new full contact physics engine, Anticipation AI, the ability to take control of a team in 'Be a GM' mode, a comprehensive career mode, all-new dynamic goalie interaction that includes the ability of goalies to fight, the NHL's Winter Classic game, multiplayer support and more. Be the next legend in hockey with NHL 12. As the sport's next superstar, earn every shift on the ice with stellar play, big hits, and spectacular goals and prove you have the toughness and skill to lead your team to the Stanley Cup. 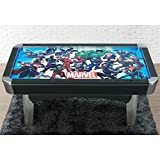 Take to the ice in all-new interactive environments where bone-crushing hits, glass-shattering collisions, and bruising checks along the boards are always part of the action. Experience the intensity, speed and physicality of authentic NHL hockey action with NHL 12. Face-off against all comers to become the next NHL superstar in NHL 12. Full-contact Physics Engine - From shattered glass and flying helmets to knocking players over the boards and into the bench, experience the skill and aggression of hockey like never before. Crash the crease too hard and you'll knock the net off and send the goalie flying. Anticipation AI - Anticipation AI brings NHL 12 to life like never before. Players will now anticipate the flow of the play. Watch as they break for stretch passes or drag their skates to stay onside. Be a GM Mode - Take control of your favorite team and guide them to victory, with more accuracy and depth than ever before with an all-new sim engine and Action Tracker. 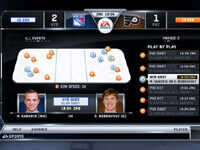 EA Sports Action Tracker - Track every important event that occurs on the ice. 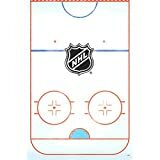 View replays and find tendencies including where to score on individual goalie, what zone you're losing face-offs in and where hits have taken place. Be a Pro Revamped - Playing as your created pro, earn every shift on the ice with stellar play, big hits, and spectacular goals. Simulate the action to your next shift so you're always on the ice as you play out your entire career gunning for the Stanley Cup. All-new Dynamic Goalie Interaction - Stonewall your opponents with awe-inspiring desperation saves from your goalie as he covers every possible angle and works through screens and flying players in front of the net. Goalies Drop the Gloves - When the action boils over, send a message by leaving the net, dropping the gloves, and trading punches with a heated rival during fights. Hockey's Ultimate Team - Hockey's Ultimate Team returns to NHL 12 with Three Stars of the Week cards, the ability to injure players, injury cards that heal them, the chance to play a friend, even when they aren't online, and more. 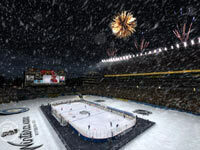 Play the Winter Classic - The NHL package jumps to life with NHL Winter Classic, the league's premier outdoor hockey event on New Year's Day. Play under snowfall at Pittsburgh's Heinz Field as 70,000+ rabid fans provide inspiration while donning Winter Classic gear. 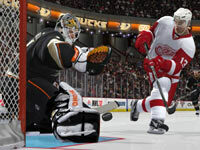 Multiplayer Support - NHL 12 features multiplayer options both in local and online play.